The world is ever more urban. The top 780 global cities already produce almost 60 per cent of all world economic activity, and they are set grow in importance as urbanisation continues. 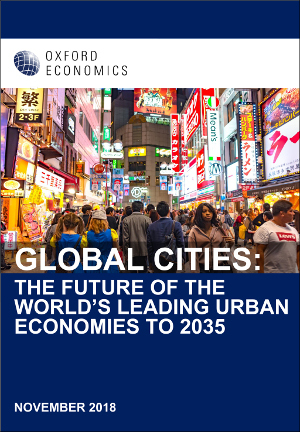 In our latest annual Global Cities report, we forecast significant growth disparities between cities around the globe over the coming decades to 2035 and predict far-reaching changes in the world’s urban order, with the balance of urban economic power shifting further east as a result.